Ah, conventions. That time when those of us that make up geek culture can come together and celebrate. In the next two weeks there will be three fan conventions in my area. 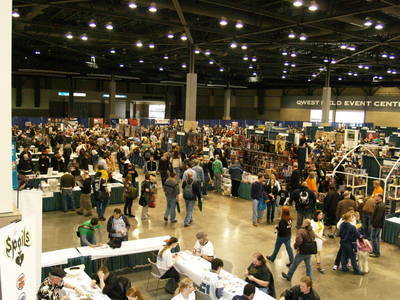 Easter weekend is huge for conventions here in the Geek Capital of the World. As such it seems fitting to devote some time to this center piece of geek culture. If you have never been to one it can be a bit daunting the first time. It’s not like a trade convention where people come to see the new products and get tips on how to sell next year’s new vacuum. I am talking about fan conventions. With all this diversity these events all have one thing in common. People have a chance to come together and mingle with others who share a specific interest. So if you are going to go forth and attend a convention here are some tips. First is what has come to be known as the 5/2/1 rule. It is a straight forward rule to ensure your health and well-being as well as making sure others will still want to be around you. The rule is simply this; every day of the event you need to have a minimum of 5 hours sleep, 2 full meals, and 1 shower. Really just basic maintenance but during an event when you want to cram in as much as possible it becomes surprisingly easy to miss these. Also keep in mind that you are going to be in a limited area when a lot of people. It is not uncommon for illness to spread in these conditions. We often call this “con crud.” I recommend that during the event pay attention to health details like washing your hands. Also taking a multi vitamin during this time is not a bad idea. Besides health issues, the other thing to keep in mind is the social aspect. Yes, you are in a place where you are surrounded by people with a shared interest. This does not free you from normally accepted social behavior. Trust me when I say that being polite and remembering personal boundaries is still important. The flip side is to remember that other people are there to have fun too. If someone is indulging in a part of fandom you do not participate in, such as cosplay or gaming, remember it is important to them and be respectful. To sum this up, as one person once taught me, at all times keep your brain with you. On a personal front, I will be attending Emerald City Comicon this weekend March 30 through April 1. I will be taking notes during the show a will try to have short updates here every day. I will also be tweeting from the show, my tweeter is @caliban1227. The following weekend I will be at Norwescon, I will probably still tweet, but I probably will just do a single write up following the con. Sorry for missing this last Saturdays post. Between things getting busy at work and two conventions coming up I ran out of time. I will try to get the post finished and up in the next day or two. When I was growing up one of the shows I liked to watch was Dark Shadows. I was too young to really understand it much beyond “oh neat, monsters,” but I would sit riveted. Years later it was syndicated and I was able to watch it again. One of Dark Shadows’ intriguing qualities was how it handled casting new characters. Between time travel, parallel worlds and simply a character dying and a new one showing up later, many actors on the show played 4 or 5 different characters. The show often dealt with this by just ignoring it. It became the accepted norm. And now the new show American Horror Story has decided to follow in its footsteps. If you have not watched this show you really should. The premise is that the Harmon family of Boston, Ben, Vivian, and their Daughter Violet, move to Las Angeles for a fresh start after Vivian has a stillbirth and Ben has an affair with a student of his. They move into a restored mansion that was an amazing bargain. Only it turns out that the house is cursed, anyone who dies on its property is trapped there as a ghost. I am not going to spoil the rest. It is a well-crafted story, and discovering details as it moves along is one of its strengths. While I was watching the early part of its first season I was wondering how they could sustain the story over multiple seasons. The pacing was great and they gave a lot of revelations but there was no way to avoid the problem Heroes had, a great first season and then a downhill slide. And then they proved me wrong. The season finale was in fact the end of the story. As it become clear near the end that they were going to wrap up the producers explained the plan. Each season would be a complete story with new characters. To provide continuity several cast members would stay with the show, but as different characters then before. I personally think this is brilliant. It allows for a well-paced story with a climax, which is much more satisfying then stretching the story beyond the breaking point that shows like Smallville have. It also allows for the freedom to sign up some really good actors as they are do not have to commit to anything beyond the one 13 episode season. I’m sure that’s how they got Dylan McDermott for the first season. 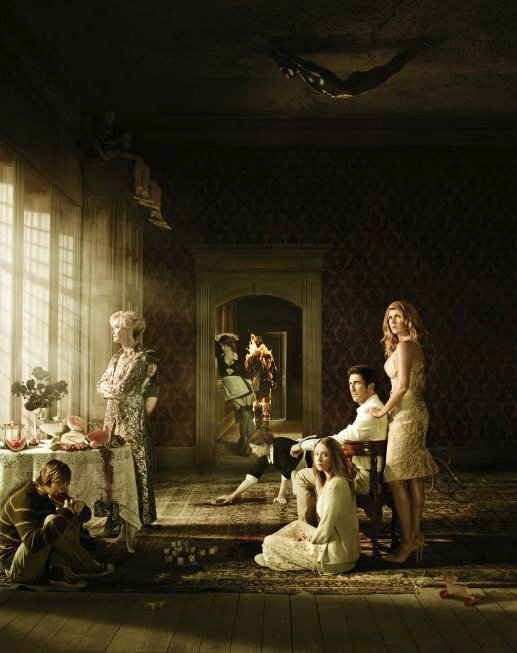 It was announced that Jessica Lange, Zachary Quinto, Evan Peters, Sarah Paulson, and Lily Rabe are returning next season and that they will move from the west coast to the east. If they can keep up the quality from the first season I am there. John Carter is a movie that has one of the oddest handicaps to overcome, the legacy of its source material. Edgar Rice Burroughs first Barsoom story was published in February 1912 so we are talking about a story that is literally 100 years old. And it is more importantly one of the most influential science fiction series ever. Ray Bradbury, Arthur C. Clarke, and Carl Sagan were all inspired by the novels in their work. You can see the influence in Flash Gordon, Buck Rodgers, Superman, and Star Wars. This legacy has led many reviewers to label the story derivative. That’s sort of like someone slamming the Lord of the Rings films as a Dungeons and Dragons rip off. I would prefer they get the order of their chickens and eggs correct. Ignoring all of that, there is one question that needs to be answered, was it a good movie? The movie uses the same framing device that the first novel used, Edgar Rice Burroughs reading a journal left by his uncle John Carter that details his adventures on Mars. The movie takes a while to get going setting up the basic Martian conflict, the Burroughs framing device, and where Carter’s life is, before eventually getting him to Mars. It does get points for making the means of transportation make more sense and even a plot point. Once Carter is on Mars or Barsoom as the inhabitants call it the movie kicks into gear. As is my habit, I will not get into a scene by scene breakdown. But there is a lot to call out. The script on this movie is pretty strong. There is an actual story happening, not just excuses for action scenes. The characters have motivations that make sense and can but people into conflict without forcing it. It’s not an overly complex story, but it is there. As John Carter Taylor Kitsch has to basically carry the whole film and overall he does a good job with it. While he is not going to be lauded as the next great action star from his performance he does well and if there is a major flaw it is that there is not a lot of humor in Carter and all his lines are delivered with a great deal of earnestness. Lynn Collins as Dejah Thoris steals just about every scene she is in. True to the books Dejah is a strong courageous woman who can hold her own. The Damsel in Distress aspect from the books is toned down for the movie, but is still evident. Collins plays her as an intelligent woman who is not content to wait for someone to come rescue her, but is not above relying on Carter do help win the day. Williem Defoe has a harder performance to put across as Tar Tarkas, Carter’s Thark ally. All the Tharks are CGI so Defoe has to use his voice. Reports are that he and the other Thark principals were on set as is the current practice for CGI characters, so he is credited with the full performance, not just voice. The movie also is a mini reunion for the HBO series Rome. Ciaran Hinds who played Julius Caesar plays Tardos Mors King of Helium and Dejah’s father (at least I think he is. In the books he was her grandfather) James Purefoy, who was Mark Antony plays Mors’ right hand man Kantos Kan, and Polly Walker who was Atia plays the Thark Sarkoja. Mark Strong as Matai Shang, the antagonist that is motivating most of the action. I like that he opted to play his character as sincere without cruelty. It works better than being a mustache twirler. Dominic West as Sab Than probably suffers the worst of the entire main cast. As Matai’s pawn he has the weakest motivation of any characters. Frankly he is a bit of a mustache twirler. Overall I feel this was a good movie and worth seeing. The major flaw I see isn’t with the movie itself, but how Disney has marketed it. It was presented as a standard action flick. A better campaign would have celebrated the history of Barsoom and the legacy of the story. 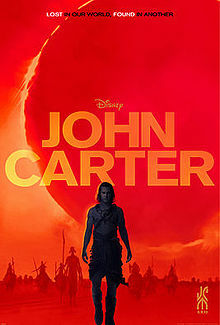 The fact that the title is just John Carter, not John Carter of Mars, shows that they had no idea what to do with it. I recommend this movie and hope that we see more of Barsoom in the future. I finally saw Chronicle last week. I know, I call myself a fanboy and yet it took me two weeks to get around to seeing a movie documenting a geek fantasy come to life. All I can offer in my defense was that I had to go with my sister to see Woman in Black, and then I got really sick. But enough about me, I have a request to review this movie, and damn it, that is what I am going to do. Basic set up: Three high school students come across a mysterious object in the woods. After this encounter, they slowly develop telekinetic powers. The hook: it is a found-footage movie. When ads came out about this movie I had a mixed reaction. On one hand, I am a leery of the whole found-footage genre. I think it is getting overused and you always have the sense that all the characters you are watching are doomed. On the other hand the trailers looked like it was going to be a good movie. First, I think we need to look at what kind of movie we are looking at. Strip away the found footage aspect, and this is at its heart a superhero origin film. But even that is over-simplified, as it does not follow the normal conventions of an origin film either. I don’t want to give too much away, but basically this is a superhero origin film that does not focus on the person destined to be the hero. In pure geek terms this is like a Spider-man movie that focuses on Harry Osborn. They also give a good reason why it is a found-footage film. In most films of this subset, it does not make sense why the characters would keep filming as the events progress. Here, Andrew, the main focus of the three leads, is heavily abused and bullied. He starts filming things as a coping mechanism, and as the film progresses it becomes clear that his filming has become obsessive. Also since he is telekinetic he can be filming and still be in the shot. It is a good hand wave and makes this movie much more interesting than a lot of others have been when this technique is used. The heart of the movie is the main characters and their relationship. Andrew, played by Dane DeHaan , as our camera man is also our main character. As I said above, he is dealing with his father who is an abusive drunk, a mother who is dying, and he is a target of bullies in his neighborhood and school. His retreat behind his camera makes perfect sense. His only friend is his cousin Matt, played by Alex Russell, who is more popular, and has been growing away from him. Rounding out our trio is Steve, played by Michael B. Jordan; a friend of Matt’s who is running for class president. The first act of the movie is about the three boys bonding after they start gaining their powers. It plays true because I honestly believe that any group of teenage boys in the same circumstance would act the same way. The second act starts to turn dark as the first signs of strain from Andrew start showing. An abused kid starts getting power; the tragedy is almost a forgone conclusion. In the third act, when things fall apart you still feel for them, because so much time was spent showing who they are and how they ended up there. The films weakness comes from the supporting characters. They are just not well-developed. Andrew’s father is just a stereotype, a drunken abuser with no redeeming qualities. There were a couple of chances to give his character some depth, but they were not taken; instead just driving home what a horrible person he is. Andrew’s mother has no character beyond being sick and dying. I wish a little more depth was given to Matt’s romantic interest, Casey. She is a video blogger, which gives Matt a chance at scenes that do not involve Andrew. It is implied she is into social causes, but really she is there to give Matt someone to relate to beyond his buddies. As a movie about superpowers it works great. They set the rules the powers obey, and stay consistent to them. They do fall prey to psychic nosebleed trope (please read the rebuttal to this trope here). As previously stated I think the depiction of what the boys do with their powers is very realistic. They do not start out as very powerful, and so they test what they can do, and largely use it to screw around in novel ways. 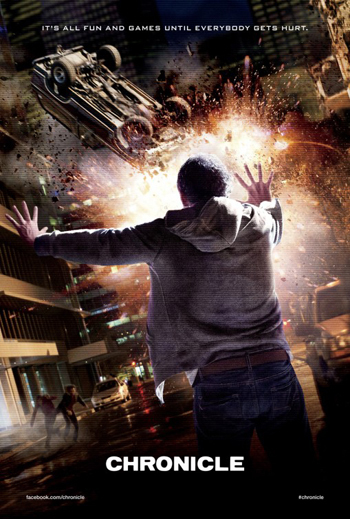 The special effects are fairly effective, especially in conjunction with the home video style. The way they handle the characters flying is especially effective. Final verdict: This is a very good movie that every self-respecting geek needs to add to their collection once it has its DVD release.